* The Volkswagen Jetta is one of America’s favorite vehicles. The sleek 2019 model is the best one yet! Lease a sporty 2019 VW Jetta S with some of the best driver assistance features in the industry, for as low as $209 a month for 39 months. Enjoy a mileage allowance of 7,500 miles per year as part of your lease. Sign Then Drive a 2019 Jetta home today with $0 due at signing (W.A.C). * The 2019 Volkswagen Tiguan is the perfect crossover for growing families. With its spacious interior and comfortable ride, the 2019 Tiguan is amazing for carpooling or your family road trip. The 4MOTION® all-wheel drive system is extremely capable, whether commuting on snowy roads or adventuring in the mountains. Well-qualified lessees can drive a versatile 2019 VW Tiguan S with 4MOTION® home today for as low as $249 a month for 39 months. Enjoy a 7,500 mile allowance as part of your lease. * If you have been searching for a feature-filled vehicle with amazing fuel-efficiency, nothing is better than the 2019 Volkswagen Golf. Lease a sporty 2019 VW Golf GTI S for only $322 a month or a versatile 2019 VW Golf Alltrack S for only $329 a month. Enjoy a 7,500 mile allowance with either of these incredible trim levels of the 2019 Volkswagen Golf! * The 2019 Volkswagen Atlas is a spacious mid-size SUV with technology features the whole family will adore. Featuring the capable 4MOTION® all-wheel drive system and stellar performance, the 2019 Atlas is ready for your next adventure. Well-qualified lessees can Sign Then Drive one home today for as low as $366 a month for 39 months. Enjoy a 7,500 mile allowance with this money-saving lease. * The 2019 Volkswagen Passat Wolfsburg offers drivers and passengers a roomy and luxurious ride. Rear seat passengers will enjoy generous legroom for adult passengers. Appreciate the many features including heated front seats, a large 6.3-inch touchscreen infotainment system, push button start, and much more. Well-qualified lessees can drive a 2019 VW Passat Wolfsburg home today for only $289 a month for 39 months. Sign Then Drive with a 7,500 mile allowance as part of your new lease. This amazing lease deal will not last long. 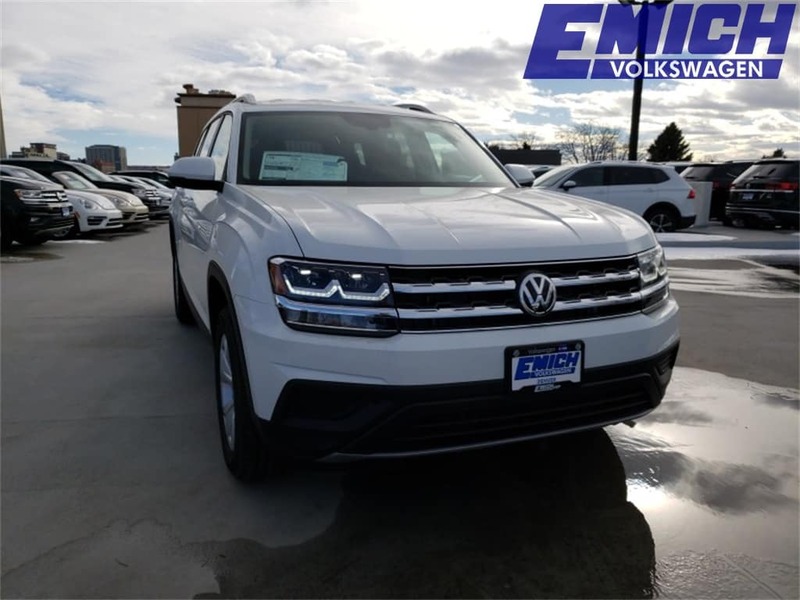 Make your way over to Emich Volkswagen in Denver to pick out your favorite 2019 VW model today!